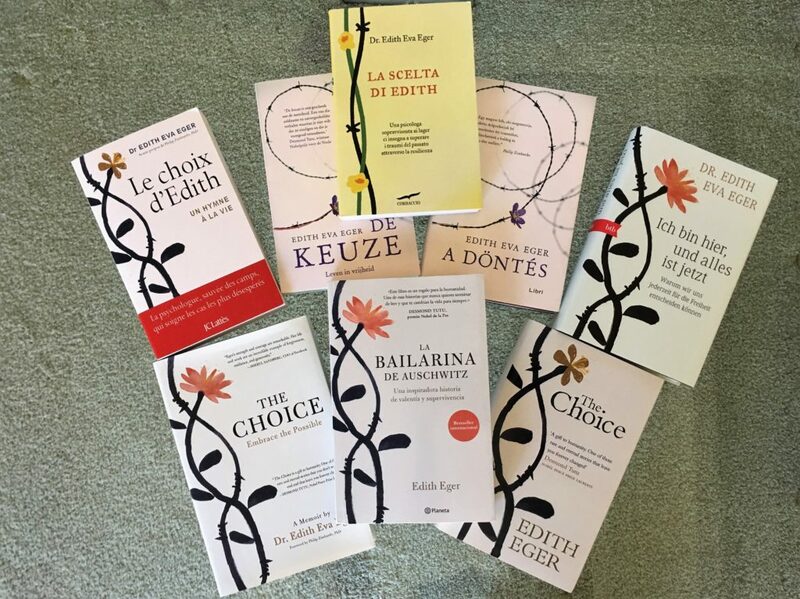 Internationally acclaimed psychologist Dr. Edith Eger—one of the last remaining Holocaust survivors—tells her unforgettable story in this moving testament to the resilience of the human spirit and the power of choice in our lives. At the age of sixteen, Edith Eger, a trained ballet dancer and gymnast, was sent to Auschwitz. Hours after her parents were sent to the gas chamber, the “Angel of Death,” Nazi officer Dr. Josef Mengele, forced Edie to dance for his amusement—and her survival. He rewarded her with a loaf of bread that she shared with her fellow prisoners—an act of generosity that would later save her life. Edie and her sister survived multiple death camps and the death march. When the American troops liberated the camps in 1945 they found Edie barely alive in a pile of corpses. Edie spent decades struggling with flashbacks and survivor’s guilt, determined to stay silent and hide from the past. She raised a family, studied and practiced psychology, and refused to speak about her experiences during the war. Thirty-Five years after the war ended Edie returned to Auschwitz and was finally able to fully heal and forgive the one person she’d been unable to forgive for years. Not Hitler. Not Josef Mengele. Herself. Today, at ninety years old, Edie is a renowned psychologist and speaker who specializes in treating patients suffering from traumatic stress disorders. She demonstrates, in her life and professional practice, how freedom from trauma, grief, and fear becomes possible once we confront our suffering and make the choice to heal. The Choice is more than a memoir. It is an inspiration. Dr. Eger weaves her remarkable personal account of surviving the Holocaust and overcoming its ghosts of anger, shame, and guilt with the moving stories of those she has helped heal. She explores how we can be imprisoned within our own minds and shows us how to find the key to freedom. 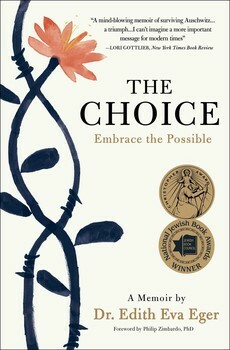 A wise, compassionate, life-changing book, The Choice will inspire and provide comfort to generations of readers. Purchase THE CHOICE from your favorite bookseller today! For information about special discounts for bulk purchases, please contact Simon & Schuster Special Sales at 1-866-506-1949 or business@simonandschuster.com. Purchase options for UK and other international readers, available here. Download THE CHOICE press release (U.S. edition).